What’s an extra day of playing a hot new game early worth to you? What’s the worth of two days? It’s become more and more common for video game publishers to charge players for the chance to play games early. Or maybe they’re just sticking everyone else who pays a meager $60 with a later release date. This practice has gone from rare to common this season. Here’s what’s being offered. The new Tomb Raider sells for $60 and theoretically came out on Friday the 14th, but people who bought $70 or $90 special editions could play it two days early. NBA 2K19 sells for $60 and had a release date of September 11, unless you paid $100. Then you could play it four days early. The special editions of Tomb Raider and NBA 2K both offered more than early access, but that was a major drawing card. You could argue that Tomb Raider was putting the price of about $5 a day on playing early, NBA 2K putting it closer to $10. 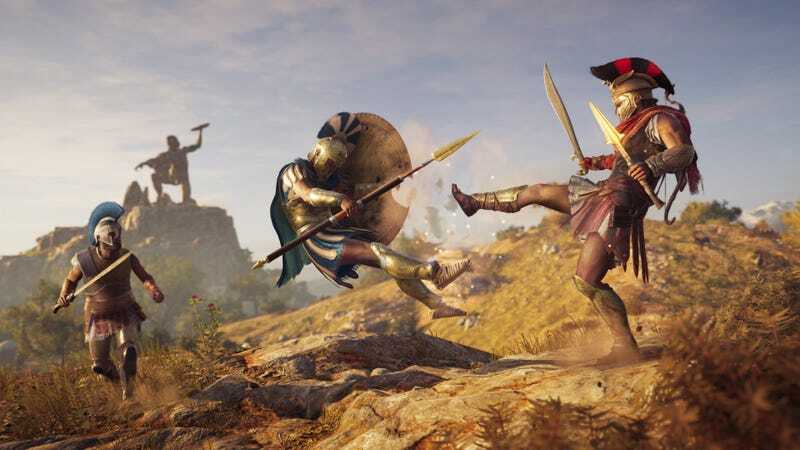 If you pre-order any of the various special versions of Assassin’s Creed Odyssey that cost $100 or more you will be able to play the game three early. You can play Hitman 2 four days early if you pre-order the Gold Edition of the game for $100. The lone major Xbox One exclusive for the fall, Forza Horizon 4, gives four day early access for its $100 ultimate edition. Battlefield V will also let you play three days early if you pre-order the $80 Deluxe edition. Battlefield comes from EA, which has been doing the play-early thing for a while. The company’s EA Access subscription service has offered early access to its games as a selling point, though that early access has usually been limited to a set number of hours of play time. They also will just let people pay more to play the whole thing early. FIFA 19, Madden 19 and NHL 19 offer early access if you pre-order the more expensive editions, starting at $80 for all games. Some of this has happened before. Last year’s FIFA 18 and NHL 18 games, for example, had Play Early deals, too. MMOs have been offering early access to games for years. If you pre-ordered Guild Wars 2 in 2012, you’d get the game three days earlier than other players. If you pre-ordered The Elder Scrolls Online in 2015, you’d get the game five days early. Final Fantasy XIV: Stormblood also offered the game five days earlier if you pre-ordered. Not every big game this season is letting people pay more to play early. We’re unaware of such deals for Call of Duty: Black Ops 4 and Red Dead Redemption 2, for example. Fallout 76 doesn’t seem to have one but it does have a beta in October, the month before its official release. None of the major upcoming games from Nintendo will be available early if you pre-order, though the standalone Xenoblade Chronicles 2 expansion, Torna, is currently available only for people who bought the season pass for that game. It’s exclusive to those people for one week before everyone else can buy it. Although there are a handful of big releases that aren’t going to let you play early, many upcoming games effectively have two release dates. There’s the release date for people who only want to pay $60, and an earlier release date for people who are willing to pay more, or pay early. These publishers and developers are banking on your impatience to persuade you to give them, sometimes, an additional $40.